A snapshot of Sydney's five most significant food pockets of the past three years. Eastwood's night market includes 18 stalls of Taiwanese, Chinese and Filipino street eats. It's not authentic, but it's delicious. And it is ours. Besha Rodell on why we need to embrace Australian Italian cuisine (plus Carlton's best capricciosa pizzas). This time-warping suburban Sydney shopping centre contains some delicious surprises. There is so much to understand about one of the most loved and frequented Chinatowns in Australia. A little local knowledge goes a long way. Carla Grossetti shares her haunts. Neighbouring suburbs Toongabbie and Pendle Hill have become the city's new Little Sri Lanka. These CBD cafes, bars and gelaterias are off the beaten laneway. Despite their small size, these bars, restaurants and cafes all manage to pack a punch. Coburg in Melbourne's north may soon be better known for good food and brews than for its penal past. From hawker-style dining to Sydney's best Thai restaurant outside of Thainatown, here's where you should be eating in the Sydney suburb of Chatswood. 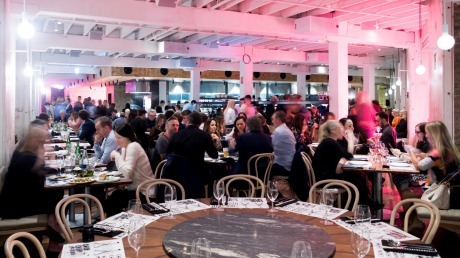 From Asian cheap eats to crepes, and tapas to steak, here's our guide to the Melbourne suburb. No longer a sister strip to big brother King Street, Enmore Road is pumping, alive and a lot of fun. Depreston no more! Markets, cafes, barbecue and cool bars. Explore the hip Melbourne suburb that's on a roll. Home to Brisbane's largest Asian community, there's a correspondingly large number of authentic Asian restaurants to explore. Go hungry! If you've got a hankering for juicy souvlaki or honey-drenched pastry, you're going to be in heaven in Melbourne's Greek hub. Wandering the main shopping strip of Sydney suburbMerrylands is a bit like touring the world in one mouth-watering mile. The revamped Eastland shopping hub includes gleaming newbies, but the eastern Melbourne suburb boasts plenty of hidden gems, too. Ignored by farmers' markets and shopping centre developers, the outer western suburb is nevertheless very much on the radars of food lovers. There's more to Sydney's the Rocks precinct than good looks as our guide to the best eats shows. Get to Geelong early, and get there hungry, because you're going to want to shoehorn breakfast, brunch and lunch in.